Rafter in aluminium keeps the fabric tensioned, eliminates water pooling and noisy flapping caused by wind. 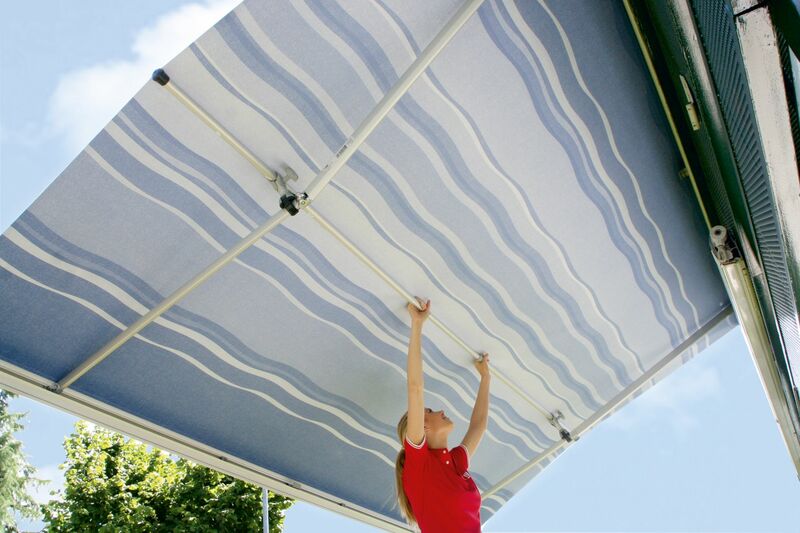 Easy to install without damaging the awning. Suitable for extensions up to 250cm. and for length up to 550 cm. Suitable for all box awnings. 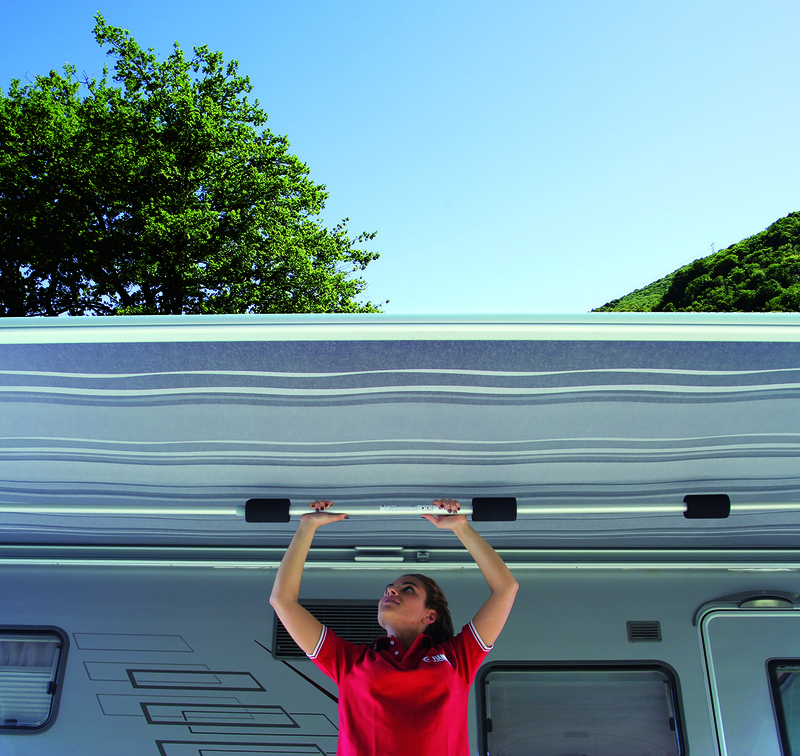 RAFTER CARAVANSTORE XLTension rafter to strengthen your manual awning. 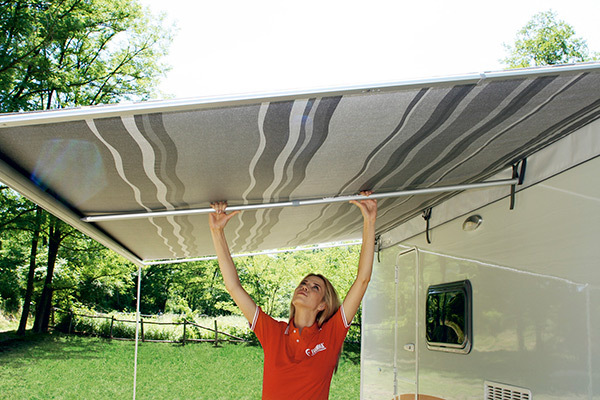 Optional for: Caravanstore: 255 to 360 cm. F35 Pro: 250 to 300 cm. RAFTER PRO The Rafter Pro is made of two sturdy anodized aluminium telescopic bars. 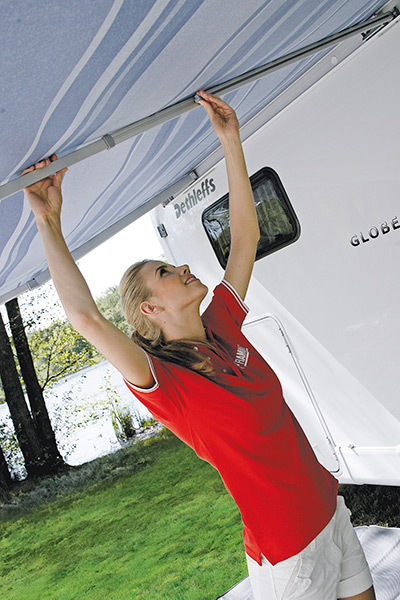 Ideal for awnings with extension up to 250cm, it is adjustable in length from 144 to 265cm. Limit usage at high temperatures as it may affect the fabric tension. 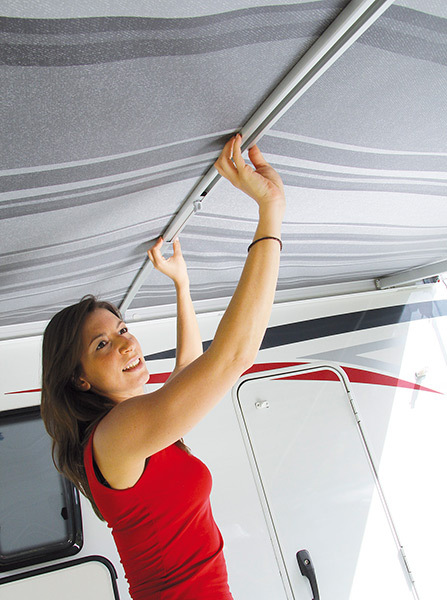 MAGICRAFTERIt is easily installed by hooking the ends onto the awning arms, while keeping them tight to avoid bending. 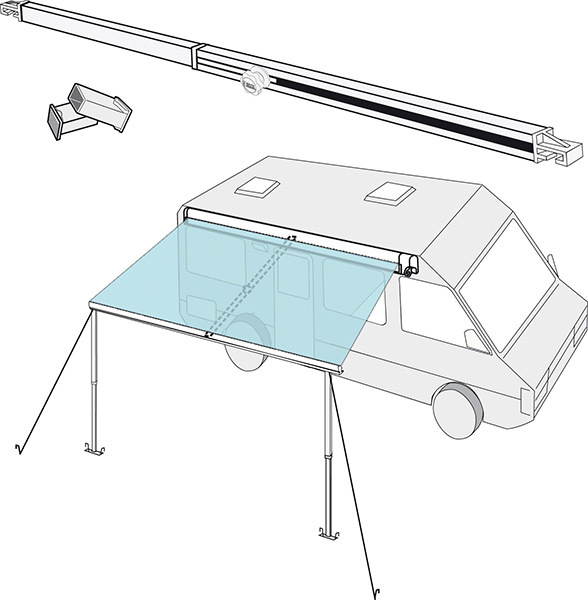 For awnings from 250 to 400cm. MAGICRAFTER PRO Comes complete with two special brackets to fix in the knuckles of the arms in order to keep the fabric tensioned. Easy to install. When not in use it takes up little space. RAFTER LED Suitable for cassette awnings. Delivered as standard with hooks with electric connections to fix on F45s and F45L awnings (for F65s and F65L optional kit 98655-877 is available): you only have to click the rafter into position and the lights come on as if by magic. After drilling and installing the electrical connection to the motorhome, you can use the 5m of cable that is supplied and comes complete with 12V cigarette lighter socket. 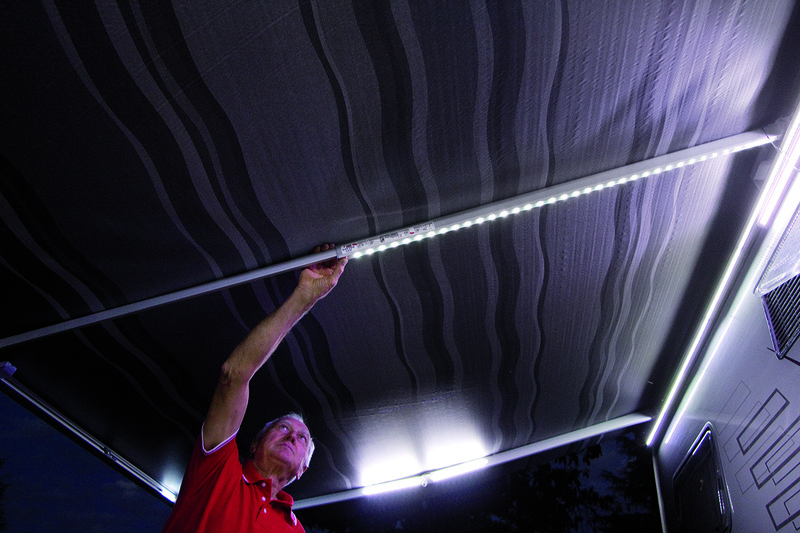 RAFTER LED CARAVANSTORE Suitable for the Caravanstore manual awning. Complete with spring terminal, easily installed when the awning is open and with 5m of cable with plug for connection to the cigarette lighter socket.